The British Home Office informed Shamima Begum's family members of its decision in a letter Tuesday and asked them to make their daughter aware of the potential for her to appeal. Britain has said that it is revoking the citizenship of Shamima Begum, a teenager who four years ago fled to become an "ISIS bride" and has attracted widespread public attention for her effort to return home with her new baby. The government's decision came as the Islamic State, also known as ISIS, was losing the last of its territory in Syria and countries across Europe are struggling with what to do about their citizens who went to fight on behalf of the terrorist group. 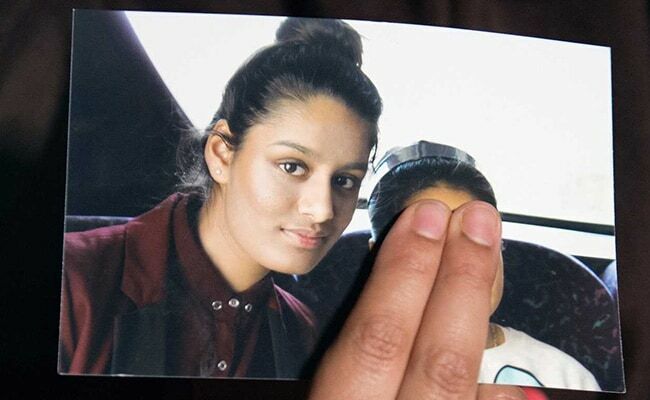 The British Home Office informed Begum's family members of its decision in a letter Tuesday and asked them to make their daughter aware of the potential for her to appeal. "It's kind of heartbreaking to read," a teary Begum, 19, told an ITV News reporter who showed her a copy of the letter. "My family made it sound like it would be a lot easier for me to come back to the U.K. when I was speaking to them in Baghouz. It's kind of hard to swallow." Begum is living in a Syrian refugee camp, where she gave birth to a boy last weekend. Her baby also has potential claims of British citizenship. Home Secretary Sajid Javid told Parliament on Wednesday: "Children should not suffer, so if a parent loses their British citizenship it does not affect the rights of their child." Under British law, the home secretary can revoke citizenship if it is "conducive to the public good" and if it does not make a person stateless. More than 100 dual nationals were stripped of their British citizenship in 2017. Some immigration experts have suggested that because Begum's parents are from Bangladesh, she could claim citizenship there. But Bangladesh said Wednesday that she "is not a Bangladeshi citizen." "She is a British citizen by birth and never applied for dual nationality with Bangladesh," Foreign Affairs Minister Shahriar Alam said in a statement, adding: "There is no question of her being allowed to enter into Bangladesh." Tasnime Akunjee, the lawyer representing the family, said Begum, who was born and raised in the east London area of Bethnal Green, "never had a Bangladeshi passport." "The government is not going to win this," Akunjee told the Independent newspaper. "There is case law saying people in these circumstances are stateless and we will win." Fahad Ansari, an immigration lawyer who is not involved in the case, said children of Bangladeshi parents are automatically citizens at birth. This lapses at age 21 if they do not make an effort to retain that citizenship. He added that Begum's lawyers could still argue that she was now "de facto stateless," because she is in a war zone with no travel documents or access to consular services. She has "no way of benefiting or asserting that citizenship," he said. Speaking with ITV, Begum said that perhaps she could apply for citizenship in the Netherlands, which is where her husband is from. She urged the Home Office to "review my case again and have a bit more sympathy for me and understanding and give me a reason why they see me as a threat to the U.K."
Last week, a Times of London journalist tracked down Begum at the refugee camp. She said that she didn't regret going to Syria when she was 15, but that she now wanted to return home and lead a quiet life. Begum has said that she was merely a housewife in Syria and that there is no evidence that she committed any crimes there. 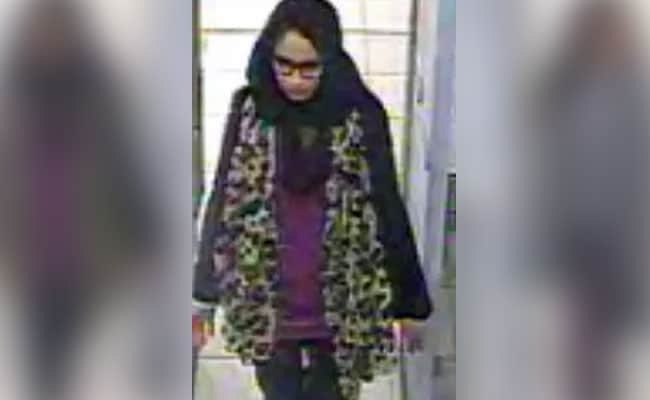 If she did return to Britain, she could face prosecution for joining a terrorist organization. Other European countries are grappling with similar questions about their citizens in Syria and Iraq. In Belgium, the government has been fighting a judge's order to repatriate six Belgian children along with their mothers, former Islamic State sympathizers who twice traveled to Syria. France is considering bringing back more than 100 former Islamic State fighters, who would face trial, along with their families. The idea of stripping dual citizens convicted of terrorism of their French nationality was among the initial proposals of President Francois Hollande after a string of terrorist attacks in 2015. But Hollande was ultimately forced to abandon the plan, which would have required adding a clause to the French constitution permitting denaturalization. Many European nations have been content to leave citizens who may sympathize with the Islamic State in Syria, gambling that their societies will be safer if radicalized citizens are kept far from their borders. But the Kurdish fighters who have kept many of the former caliphate residents under lock and key worry that with the U.S. pullout, they may need to shift resources elsewhere, disbanding camps and allowing the residents to disperse. President Donald Trump over the weekend warned E.U. allies that if they did not repatriate their citizens, the United States would simply let them go - and that Europe could face a surge in terrorist attacks as a result. On Wednesday, Trump said an Alabama woman who joined the Islamic State will not be allowed back into the United States. Hoda Muthana, 24, who left in 2014 to marry an Islamic State fighter in Syria, now lives with her young son in a Syrian refugee camp. In an interview with the Guardian published Sunday, Muthana said she regrets her decision to join the Islamic State and is seeking to return to the United States. The Washington Post's James McAuley in Paris, Michael Birnbaum in Brussels and Felicia Sonmez in Washington contributed to this report.